One of the most common questions we get is on essiac pronunciation. People want to know how to say this funny looking word. 'Essiac' is Rene Caisse's last name spelled backwards. Rene Caisse is known for spreading the use of the tea throughout many people and also for working on improving the formula over the years. Or, put another way, ESS-E-ack. Another common question we get is, "What IS essiac, exactly?" Put simply, essiac is blend of eight herbs in particular ratios, all of which are known to have immune-boosting, health-promoting properties. When taken together (brewed as a tea), essiac is believed to strengthen the immune system and purify the body of toxins. As a result, the body becomes more capable of fighting off illness and disease. 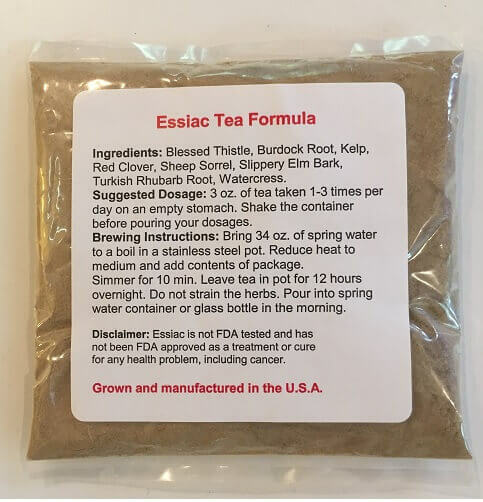 Essiac contains eight herbs: blessed thistle, burdock root, kelp, sheep sorrel, slippery elm bark, red clover, turkish rhubarb root, and watercress. The formula is a synergistic one, meaning that the combination of the herbs in specific ratios creates a different result than taking the herbs by themselves. The herbs work together in a way that increases the effects they can have. Essiac is called a 'tea' because it is brewed, but it isn't taken like you would think of a regular tea. It is brewed in a large batch (most typically a gallon) and stored in the fridge. The dose is usually just 3 oz. at a time, which is just under 1/2 cup liquid measure. In some health food stores, you will see essiac being sold under the name 'Flor Essence.' The same eight herbs are found in that formula. If you see a four-herb 'essiac' it is not in your best interests to buy that. 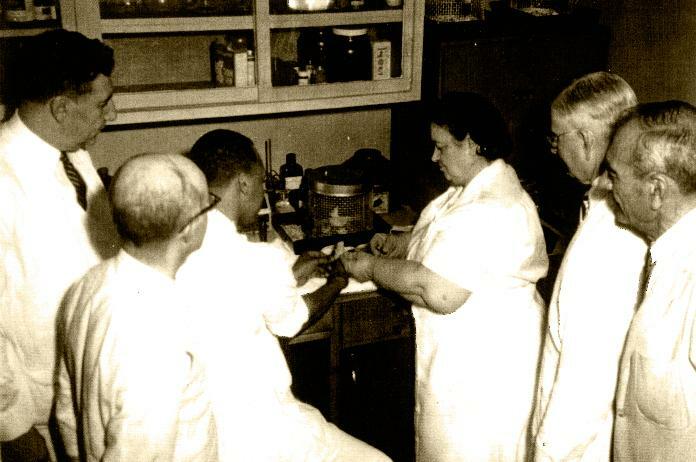 Rene Caisse found that the eight herb tea worked better and that was her suggestion on what to use. Click here for more info. about essiac in our essiac tea F.A.Q.